Welcome to Episode 170 of Gun Guy Radio! This is the podcast that shines a positive light on the firearms lifestyle. I’m Your host Ryan Michad and this is your weekly dose of positive firearms talk, without the politics. This week, I’m joined by Karl from InRangeTV to discuss the Designated Marksman Rifle (DMR) concept and its usage in conflicts. Karl recently did a couple videos with Ian discussing the DMR concept as well as one where he used a DMR in a 2-gun match. 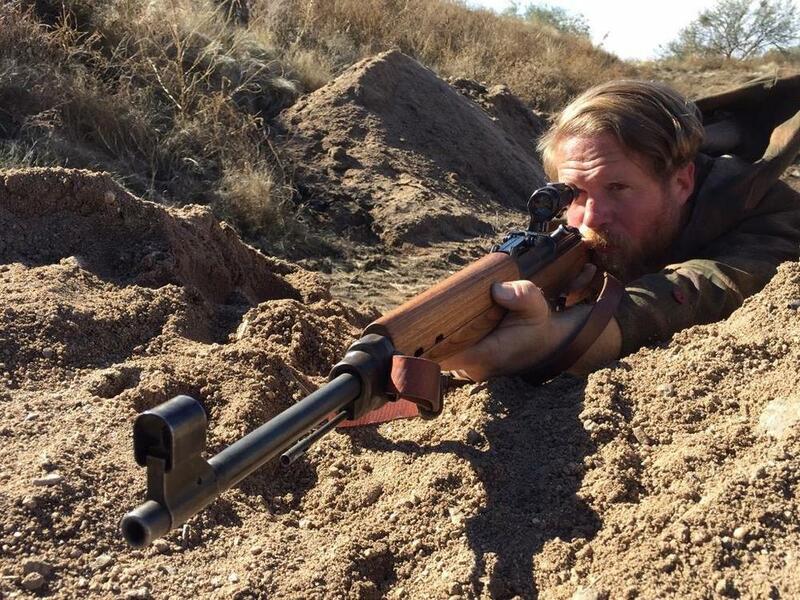 With that, we will head into the Main Topic: History & Use of the DMR with Karl of InRangeTV! Karl & Ian did a video recently discussing the evolution of the DMR. Karl, how did the DMR concept even start? We think of the DMR concept as a relatively new one, yet it was around in WWII. Did the DMR concept see the same employment and usage that we see it used in today? Were there any differences in cartridges when employing DMR? Did they want the traditional full power battle rifle cartridge or did they want to transition to a more intermediate cartridge? If you could design a DMR for today would you go with a full power cartridge like the 7.62x51mm or something more intermediate like a 6.5 round? Not quite 5.56 but not fully 7.62 either? When employing a DMR, what are some of the limitations you think the earlier designs had? Have we fixed those deficiencies? Karl then ran the NDM86 (which is essentially a SVD) in a 2-gun action match, going between CQB and longer range targets. What originally drove you to use the SVD in the 2-gun match? Did you find the transition between close range and long range (particularly the 100 yard spinner) was very difficult or did you make the switch easily? How do the iron sights on the SVD stack up to the irons on most other rifles? If you could change anything on the SVD to make it more useful in a match like this, what would that change be? With that, we will wrap up the main topic and close out the show! Thanks so much Karl for coming on, I think the listeners will really like this episode and I think they will really like the videos. I know I did! Where can people find you and do you guys have anything coming up that you’d like to share?